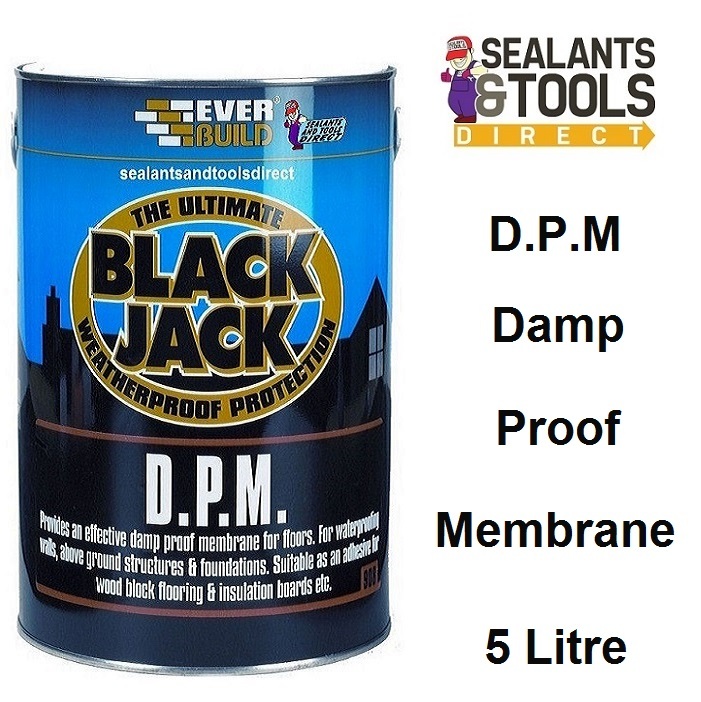 Highly effective sandwich damp proof membrane for floors. Also acts as a waterproofer for walls, above ground structures and foundations. Everbuild DPM is suitable for use as an adhesive for wood floor block, mosaic panels, insulation boards, expanded polystyrene, cork and as a plaster bonding agent, even on difficult surfaces. Forms an impervious water and water vapour Tanking barrier on most surfaces. General Waterproofing: for use on concrete, fiber cement, render, plaster etc. 6 to 10 meter square depending on surface to be treated. The product may bleed through any paints subsequently applied over it. Apply a primer recommended by the paint manufacturer before over painting.